Örgüt ve yönetim yazınında kurumsal mantık yaklaşımı belirli örgütsel alanların kurumsal değişimini incelemede sıkça kullanılmaktadır. Kurumsal mantık yaklaşımı, genel olarak örgütsel alan içerisinde çelişen ve birbiri ile çatışan kurumsal mantıkların örgütlere etkileri üzerine odaklanmaktadır. Kurumsal mantık yaklaşımında, kurumsal kuramdaki gibi eşbiçimlilik ve homojenlik süreçlerinden ziyade farklı kurumsal aktörlerin örgütler ve bireyler üzerindeki etkileri ve heterojenlik söz konusudur. Son yıllarda ise kurumsal mantık araştırmalarında yeni bir akımın ortaya çıktığı ve bu akımla birlikte çoklu kurumsal mantıklar ile ilgili özellikle uluslararası örgüt ve yönetim yazınında ciddi bir akademik birikim oluştuğu görülmektedir. Bu doğrultuda yapılan araştırmalar, aynı örgütsel alanda çoklu kurumsal mantıkların aynı anda yer alabileceğini göstermektedir. Bu bağlamda bu çalışmada, mevcut yazından yola çıkarak çoklu kurumsal mantıklar üzerine farklı örgütsel alanlarda gerçekleştirilen çalışmaları ve çoklu kurumsal mantıklar ile ilgili tartışmaları ayrıntılı bir biçimde ortaya koymaktır. Çalışmanın sonunda, çoklu kurumsal mantıklar ile ilgili genel bir değerlendirme yapılarak, gelecekte konuyla ilgili olarak çalışılabilecek bazı araştırma önerileri paylaşılacaktır. In organizational and management research, approach of institutional logic is frequently used to examine the institutional change of certain institutional fields. The institutional logic approach focuses on the effects of conflicting institutional logics in the institutional fields on the organization. In the institutional logic approach, rather than the processes of isomorphism and homogeneity as in institutional theory, there are heterogeneity and effects of different institutional authorities on organizations and individuals. In recent years, a new trend has emerged in research of institutional logic and there is a serious academic accumulation related to multiple institutional logics, especially in international organization and management literature. Studies with this trend show that multiple institutional logics can take place in the same institutional field. In this context, the purpose of this study is to reveal in detail the researches carried out in various institutional fields on multiple institutional logics based on the existing literature. At the end of the study, by making a general evaluation about multiple institutional logics, in the future, some research suggestions will be shared. Alford, R. R., ve Friedland, R. (1985). Powers of theory: Capitalism, the state, and democracy. Cambridge University Press. Andersson, T., ve Liff, R. (2018). Cooptation as a response to competing institutional logics: Professionals and managers in healthcare. Journal of Professions and Organization, 5 (2), 71–87. Besharov, M. L., ve Smith, W. K. (2014). Multiple institutional logics in organizations: Explaining their varied nature and implications. Academy of management review, 39(3), 364-381. Çakar, M., ve Danışman A. (2012). Kurumsal kuram. Sözen H.C., Basım, H.N. (Der.) Örgüt Kuramları. 241-271. İstanbul: Beta Yayınevi. Dunn, M. B., ve Jones, C. (2010). Institutional logics and institutional pluralism: The contestation of care and science logics in medical education, 1967–2005. Administrative Science Quarterly, 55(1), 114-149. Fincham, R., ve Forbes, T. (2015). Three's a crowd: The role of interlogic relationships in highly complex institutional fields. British Journal of Management, 26(4), 657-670. Friedland, R., ve Alford, R. R. (1991). Bringing society back in: Symbols, practices and institutional contradictions. In W. W. Powell & P. J. DiMaggio (Eds. ), The new institutionalism in organizational analysis: 232-267. Chicago: University of Chicago Press. Glynn, M. A., ve Lounsbury, M. (2005). From the critics corner: Logic blending, discursive change and authenticity in a cultural production system. Journal of Management Studies, 42(5), 1031–1055. Goodrick, E., ve Reay, T. (2011). Constellations of institutional logics: Changes in the professional work of pharmacists. Work and Occupations, 38(3), 372-416. Green Jr, S. E., Babb, M., ve Alpaslan, C. M. (2008). Institutional field dynamics and the competition between institutional logics: The role of rhetoric in the evolving control of the modern corporation. Management Communication Quarterly, 22(1), 40-73. Greenwood, R., ve Suddaby, R. (2006). Institutional entrepreneurship in mature fields: The big five accounting firms. Academy of Management journal, 49(1), 27-48. Greenwood, R., Raynard, M., Kodeih, F., Micelotta, E. R., ve Lounsbury, M. (2011). Institutional complexity and organizational responses. Academy of Management annals, 5(1), 317-371. Greenwood, R., Díaz, A. M., Li, S. X., ve Lorente, J. C. (2010). The multiplicity of institutional logics and the heterogeneity of organizational responses. Organization Science, 21(2), 521-539. Greenwood, R., Raynard, M., Kodeih, F., Micelotta, E. R., ve Lo-unsbury, M. (2011). Institutional complexity and organizational responses. Academy of Management annals, 5(1), 317-371. Jones, C., Livne-Tarandach, R., ve Balachandra, L. (2010). Rhetoric that wins clients: entrepreneurial firms use of institutional logics when competing for resources. In Institutions and Entrepreneurship (pp. 183-218). Emerald Group Publishing Limited. Kitchener, M. (2002). Mobilizing the logic of managerialism in professional fields: The case of academic health centre mergers. Organization studies, 23(3), 391-420. Lounsbury, M. (2007). A tale of two cities: Competing logics and practice variation in the professionalizing of mutual funds. Academy of Management Journal, 50(2), 289–307. Marquis, C., ve Lounsbury, M. (2007). Vive la resistance: Competing logics and the consolidation of U.S. community banking. Academy of Management Journal, 50(4), 799–820. Meyer, J. W., ve Rowan, B. (1977). Institutionalized organizations: Formal structure as myth and ceremony. American journal of sociology, 83(2), 340-363. Ocasio, W. (1997). Towards an attention‐based view of the firm. Strategic management journal, 18(S1), 187-206. Önder, Ç., ve Üsdiken, B. (2016). Kurumsal mantıklar, örgüt altyapısı ve örgütsel alanlarda değişim: Türkiye’de işçi sendikalarının tarihsel gelişimi, 1947-1980. METU Studies in Development, 43(2), 573-605. Özen, Ş. (2010).Yeni kurumsal kuram: Örgütleri çözümlemede yeni Ufuklar ve yeni sorunlar, A. S. Sargut ve Ş. Özen (Der), Örgüt Kuramları: 237–330. İstanbul: İmge Yayınları. Özseven, M., Danişman, A., ve Bingöl, A. S. (2014). Dönüşüm mü, gelisim mi? Kamu hastanelerinin yönetiminde yeni bir kurumsal mantiga dogru. METU Studies in Development, 41(2), 119-150. Özseven, M., Danişman, A., ve Bingöl, A. S. (2016). Kurumsal değişim, güç mekanizmaları ve direniş taktikleri: Türk sağlık alanında bir araştırma. METU Studies in Development, 43(3), 779-811. Reay, T., ve Hinings, C. R. (2005). The recomposition of an organizational field: Health care in Alberta. Organization studies, 26(3), 351-384. Reay, T., ve Hinings, C. R. (2009). Managing the rivalry of competing institutional logics. Organization studies, 30(6), 629-652. Selznick, P. (1957). Law and the structures of social action. Administrative Science Quarterly, 2(2), 258–261. Smets, M., Jarzabkowski, P., Burke, G. T., ve Spee, P. (2015). Reinsurance trading in Lloyd’s of London: Balancing conflicting-yet-complementary logics in practice. Academy of Management Journal, 58(3), 932-970. Suchman, M. C. (1995). Managing legitimacy: strategic and ınstitutional approaches. Academy of Management Review, 20(3), 571–610. Suddaby, R., ve Greenwood, R. (2005). Rhetorical strategies of legitimacy. Administrative Science Quarterly, 50(1), 35–67. Tan, J., ve Wang, L. (2011). MNC strategic responses to ethical pressure: An institutional logic perspective. Journal of Business Ethics, 98(3), 373-390. Thornton, P. H. (2002). The rise of the corporation in a craft ındustry : Conflict and conformity in ınstitutional logics. The Academy of Management Journal, 45(1), 81–101. Thornton, P. H., ve Ocasio, W. (1999). Institutional logics and the historical contingency of power in organizations: Executive succession in the higher education publishing industry, 1958‐1990. American Journal of Sociology, 105(3), 801–843. Thornton, P. H. (2004). Markets from culture: Institutional logics and organizational decisions in higher education publishing. Stanford University Press. Thornton, P. H., Jones, C., ve Kury, K. (2005). Institutional logics and institutional change in organizations: Transformation in accounting, architecture, and publishing. In Transformation in cultural industries (125-170). Emerald Group Publishing Limited. Thornton, P., ve Ocasio, W. (2008). Institutional logics. R. Greenwood, C. Oliver, R. Suddaby, and K. Sahlin-Andersson (Der). The Sage Handbook of Organizational Institutionalism, 99-129. Thousand Oaks, CA: Sage. Thornton, P. H., Ocasio, W., ve Lounsbury, M. (2012). The institutional logics perspective: A new approach to culture, structure, and process. Oxford University Press. 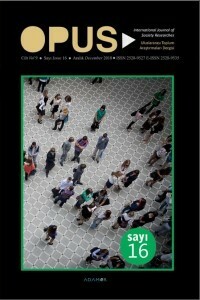 Ünal, A. F. (2017). Türkiye yükseköğretim alanında rakip kurumsal mantıklar: Akademik performans kriterlerinde çeşitlilik ve yayın üretkenliği üzerine etkisi. Amme İdaresi Dergisi, Cilt 50, Sayı 4, Aralık 2017, 83-114. Zilber, T. B. (2007). Stories and the discursive dynamics of institutional entrepreneurship: The case of Israeli high-tech after the bubble. Organization Studies, 28(7), 1035-1054. Zucker, L. G. (1977). The Role of Institutionalization in Cultural Persistence. American Sociological Review, 42(5), 726–743.